DONATE $150 OR MORE TO DRC AND DOODLES IN NEED AND RECEIVE AN OFFICIAL DRC "PAWS 4 THE CAUSE" PENDANT. ADOPTED! Meet Ryder available in Orlando, FL! ADOPTED! Meet Winnie available in Jacksonville, FL! ADOPTED! Meet Winston a doodle available in Lakeland, FL! ADOPTED! Meet Hachi/Gus. A goldendoodle available in Tampa, FL! PENDING! ADOPTED! Meet Scotty a Doodle available in Lakeland, FL! Welcome to Doodle Rescue Collective Inc. PLEASE READ DRC ADOPTION REQUIREMENTS, POLICIES & PROCEDURES BEFORE APPLYING FOR ONE OF OUR RESCUED LABRADOODLE OR GOLDENDOODLE DOGS. IS A DOODLE FOR YOU? "Welcome to the DRC website. Here is a ‘must read’ article with information you should know before you apply to adopt a doodle: http://doodlerescue.org/forum/topics/information-for-anyone-interested-in-adopting-a-doodle. 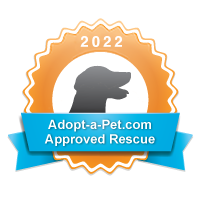 Here is a link to…"
Connor B Lewis, Marci and Mikica Marovic joined Doodle Rescue Collective Inc.
"Thank you for your comments. The rescue is always looking for volunteers - fosters, transportation. Here is our foster form (similar to the adoption form). You can also write in one of the boxes what things you are interested in doing. …"
Nancy Reid and Roger E Meier joined Doodle Rescue Collective Inc.
"I have had dogs all my life. Goldens and Yellows are the two dogs that I have had for the better part of my life. My brother has had Doodles and I am very familiar with them. There are things that we could do for the rescue here in…"
ON BEHALF OF THE OVER 1300 DRC DOODLE DOGS SAVED & PLACED INTO LOVING HOMES, WE THANK YOU FOR YOUR SUPPORT! Started by Jacquie Yorke - DRC Director in Discussion Forum. Last reply by Jacquie Yorke - DRC Director Aug 5, 2016. Started by Karen and Jackdoodle in Discussion Forum. Last reply by Karen and Jackdoodle Mar 22. Started by Karen and Jackdoodle in Discussion Forum. Last reply by Karen and Jackdoodle Sep 14, 2017. Started by Karen and Jackdoodle in Discussion Forum. Last reply by Jacquie Yorke - DRC Director Sep 21, 2013. Started by Karen and Jackdoodle in Discussion Forum Jul 1, 2013. Started by Amy, Cubbie, & Ollie in Discussion Forum. Last reply by Liz and Seamus Sep 24, 2011. Started by Jacquie Yorke - DRC Director in Discussion Forum. Last reply by Jacquie Yorke - DRC Director Feb 27, 2016. Started by Karen and Jackdoodle in Discussion Forum. Last reply by Richard O. Forest Dec 1, 2014. Started by Jane, Sherlock & Noah in Discussion Forum. Last reply by Labradoodle Trust Jun 13, 2010. Created by Jacquie Yorke - DRC Director May 15, 2010 at 2:35pm. Last updated by Karen and Jackdoodle Dec 19, 2018. "LIKE" DOODLE RESCUE COLLECTIVE ON "FACEBOOK"